4-CD box (LP-size) with 36-page book, 105 tracks. Playing time approx. 283 mns. A million miles from the cottonpatch, this was swinging, sophisticated music that effortlessly combined blues, boogie, jazz, and classic pop. 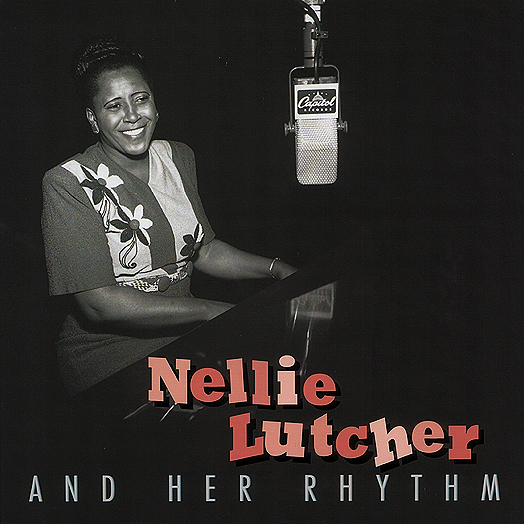 Nellie Lutcher, an accomplished pianist in her own right, led one of the tightest, swingin'est combos on the West Coast in the 1940s. This set includes her complete recordings. Cut between 1947 and 1963 for Capitol, OKeh, Epic, Decca, Liberty, Imperial, and Melic. These 4 CDs include hits like Hurry On Down, He's A Real Gone Guy, and Fine Brown Frame. Occasionally salty, sometimes sentimental, but always swinging, Nellie Lutcher was one of the giants of the post-War black entertainment scene. 06 Whose Honey Are You? 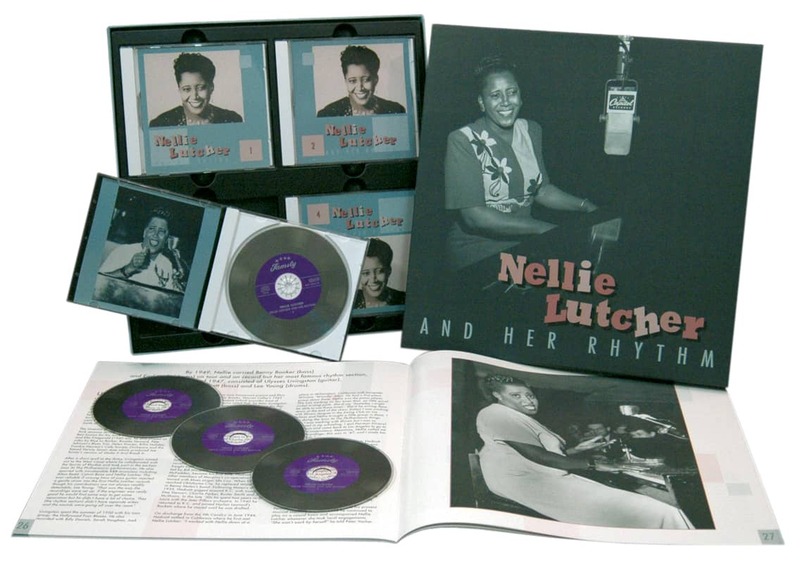 The full story of Nellie Lutcher's astonishingly lengthy career has been told by Bill Millar in the booklet accompanying 'Nellie Lutcher & her Rhythm' (Bear Family BCD 15910). Very briefly, she was born near Lake Charles, Louisiana in 1912 and went west in 1935. Capitol's A&R man Dave Dexter spotted her at a 'March Of Dimes' show, and signed her in 1947. He's A Real Gone Guy was the follow-up to her first hit, Hurry On Down, and it spent 23 weeks on the R&B charts, peaking at No.2. It also reached No.15 on the pop charts, and made her the second best-selling R&B artist of 1947 (Louis Jordan, of course, was No.1). LaVern Baker revived He's A Real Gone Guy on her 'See, See Rider' LP. Ruth Brown revived it late in her career, and it became a minor jazz classic with versions by Gene Ammons, Kenny Burrell, Ramsey Lewis, Grant Green, Jack McDuff, and others. In 1956, Anita Carter recorded a country-pop version for RCA, and in 1999, Bill Wyman included it on his 'Anyway The Wind Blows' LP. Nellie's hot streak ended as the market for sophisticated black nightclub music waned, and she last recorded in 1963, but she's still among us as of this writing. Customer evaluation for "& Her Rhythm (4-CD)"